← How to convert MS Office PowerPoint documents of PPT to DIB? 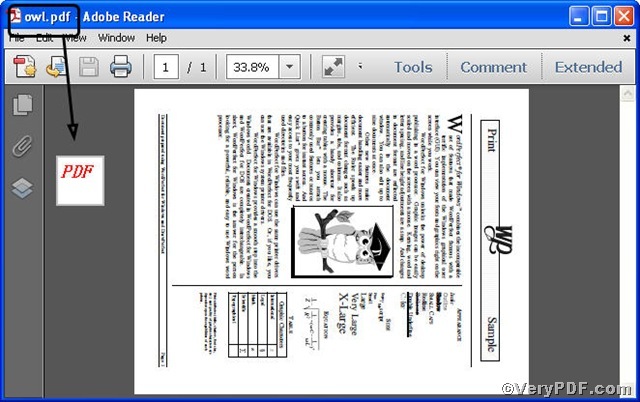 You must be dispointed when you finish converting pcl to pdf only to find the pages in it are not in right place, that’s to say, you have to rotate them by some degree to right them. This article is going to show you how to convert pcl to pdf and rotate page through PCL Converter command line. PCL Converter is the fastest and most accurate converter of PCL, PXL, PX3 to PDF, TIFF and other distribution formats. Integrate high-volume batch conversion into your server-based application or workflow. 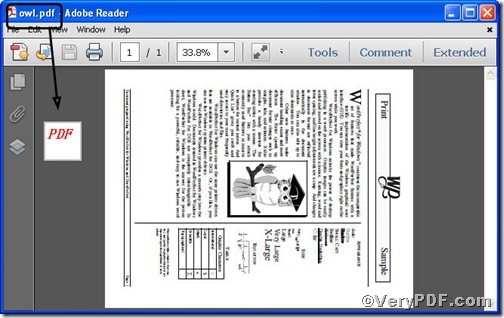 -rotate 9o is to rotate pdf page by 90 degree. Open your contained folder to check if pcl file has been converted to pdf and how the page rotated. From the pictures, you find px3 file has been converted to jpg file. There are plenty of functions about PCL Converter command line, if you are interested, you can try the related converting work by taking above steps as reference or use different parameters to rotate page. How to convert PRN to TIF and rotate the page? This entry was posted in VeryPDF Blog and tagged command line, PCL Converter command line, PCL to PDF, rotate page. Bookmark the permalink.